In ROSALIE collection exclusive classical form is married to the frame in fashionable purple violet colour. On special request other colours are available. 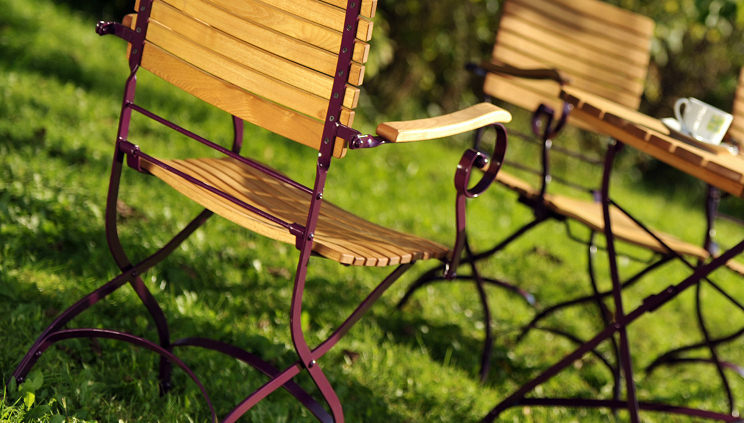 Built from superbly durable powder coated steel, our series ROSALIE will last and last. The curves of stylish steel are matched with comfortably curved slats of hardwood robinia. The chair is available with and without armrests. Each item is foldable - an idea for restaurants and other locations where the furniture needs to be brought in and out on a daily basis.